An antique clock price guide should include detailed, specific information to help you identify your clock and try to determine it's value. While this might not sound complicated, it certainly can be. There is an online database of antique clock descriptions and prices. The site is called Antique Clocks Identification and Price Guide. This site was developed by two partners, Jeff Savage and Ryan Polite. Savage is a professional antiques appraiser with 33 years experience in the business. Polite is a skilled IT professional who specializes in database websites. Antique Clocks Identification and Price Guide teaches you how to identify and date your antique clock from a database of over 21,000 antique clock descriptions, photos and prices. You can also search through their database of over 10,000 clockmakers and watchmakers and learn tips on buying and selling antique clocks. You will have to pay a subscription fee to utilize everything the site has to offer, however, there are many free resources on the site as well. Some of the topics on pricing antique clocks covered below can be found on the Price Guide. One of the first things you will discover as you start to research the value of an antique clock is that the same clock will actually have different amounts of value. This happens because the value of the clock depends on the purpose for the appraisal. For example, an insurance appraisal for an antique clock might be based on the replacement cost of the clock if it was destroyed in a fire or stolen. The value would be based on the average retail sale price of the clock if it were purchased in good working condition, with guaranteed authenticity, from an antique clock dealer. If you are trying to price the same antique clock in order to sell it "as is" through a classified ad or on eBay, the clock might only be worth half of what an insurance company would consider it worth. EBay is one of the most competitive marketplaces ever established and because there are so many sellers trying to undersell each other, the price for everything sold on the site gets driven down. However, if you closely monitor the auctions on eBay, you will get a good idea of how much buyers are willing to offer for an antique clock like yours. If you were to donate this same clock to a charity auction, the IRS might have yet another amount determined for the value of the clock as a tax deduction. Proper identification of the type of clock to be appraised is another critical element in determining value. It's important to know if your clock is even considered an authentic antique. Knowing what type of antique clock you have will make it much easier to determine it's value. You may want to get an official documented appraisal for your antique clock. This might even be a requirement if you want to get your clock insured. If you're thinking about selling your clock, do not go to an antique clock dealer or a pawn shop for an appraisal. A dealer will want to buy your clock for as little as possible so that he can then sell it at a substantial profit. You should seek an appraisal from an unbiased professional who has no financial interest in the item being appraised. Collecting, buying and selling antique clocks is a passion shared by many people all over the world. 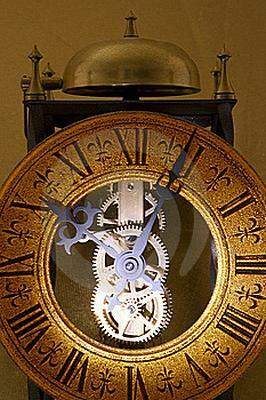 Having a frequently updated online resource such as the Antique Clocks Identification and Price Guide may prove to be the only antique clock price guide you will ever need for educating yourself and keeping current on the exciting world of antique clock collecting.